On April 21st, dozens of local leaders representing churches, businesses, and nonprofits throughout the City of Hutchinson gathered together at Faith Lutheran Church on Main Street to learn about energy efficiency and kick-off the ENERGY STAR® Challenge. The ENERGY STAR® Challenge is a statewide effort led by a partnership between the Great Plains Institute, the Minnesota Chapter of the U.S. Green Building Council, and Energy Smart – a program of the Minnesota Chamber of Commerce. The goal of the program is to increase the number of ENERGY STAR® certified buildings in Minnesota, and to provide support for local energy efficiency efforts. 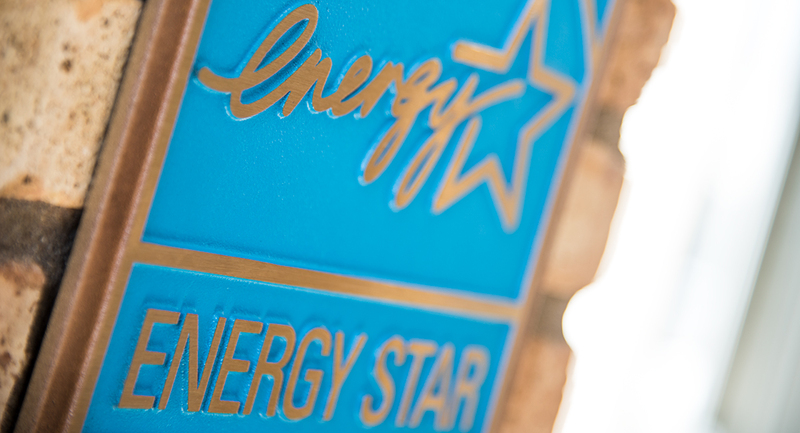 Each building that signs up for the ENERGY STAR® Challenge receives a free energy audit and energy conservation advice from an energy efficiency specialist with the Minnesota Chamber of Commerce. The Challenge also offers free energy benchmarking—a tool to track building energy consumption over time and identify areas for improvement. If a building lands in the top 25thpercentile, building owners can seek ENERGY STAR® Certification with the costs of certification completely covered by the program. In short, this means that for no cost, building owners can receive free energy efficiency assistance to improve a building or business’ bottom line, the benefits of which will be realized for years to come. Buildings that are ENERGY STAR® certified use an average of 35% less energy than typical buildings. Studies have shown that buildings that are benchmarked tend to save around 7% in energy use simply because someone is monitoring energy consumption. In 2007, the Minnesota State Legislature recognized the value of energy efficiency and set a goal to achieve 1,000 ENERGY STAR® certified buildings by 2010. Six years have passed since the end date of that goal and the state has approximately 650 buildings certified. The ENERGY STAR® Challenge is an effort to increase that number through direct outreach and technical assistance. Hutchinson was selected as a Community Partner in the ENERGY STAR® Challenge because of its thriving local business community and sustained commitment to environmental issues. Known as “Minnesota’s Hometown,” Hutchinson is a community where residents and visitors alike love to shop, do business, attend religious service, and just spend time. As a community partner, the City is investing in keeping Hutchinson that way by offering assistance to the buildings that help make Hutchinson beautiful. Not only can businesses improve their bottom line by pursuing energy efficiency, they can also improve the environment. Hutchinson is a beautiful city because it’s a place where a thriving business and faith community meets a picturesque natural environment and landscape. The ENERGY STAR® Challenge strengthens both of these elements by providing environmental assistance that is just as smart financially. Businesses and nonprofits all over Hutchinson are already recognizing the benefits of the program and signing up for the Challenge. Faith groups have perhaps been the most enthusiastic to participate in the Challenge and sign-up. When a faith community communes around a sanctuary, it is only natural to care deeply about that building’s operations. In fact, the kickoff event was held at Faith Lutheran Church because of the efficiency efforts the congregation has already taken. As part of a large facility upgrade in 2010, a geothermal heating and cooling system was installed to offset HVAC load and costs. Because of this, the building runs efficiently and saves money each year. A number of local businesses and other nonprofits have signed-up as well. Will your building be next? Sign-up now at http://www.mnenergystarchallenge.com/signup!